MEIZU has launched three smartphones today with the association of UNISOC technology. We have earlier announced about the upcoming Meizu smartphones on December 5, 2018 in India. 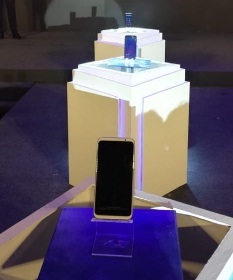 Leon Zhang, Head of Meizu Oveaseas Marketing and Neeraj Sharma, UNISOC, Country Head of India were the part of the launches of these mobile phones. In the launch, Leon Zhang stated, Technology is the product of innovation. So, let us see how Meizu's tech product goes out henceforth after their re-entry here. Please find Meizu M6T, Meizu 16th and Meizu C9 smartphones' coverage. Meizu M6T comes with potential features which includes, 3GB RAM and 32GB internal memory and supports up to 128GB external microSD. The phone comes with 13+8MP dual cameras with supporting ArcSoft beautification algorithm and HD+ resolution. Meizu M6T cell phone sports 5.7 inches full screen display and powered by 3300mAh battery. If you are looking for Meizu M6T phone's more features, specifications, price, review, first impression, unboxing, comparison and hands-on etc. then you could find some of them above and the rest we would try to cover them, soon. The mobile phone comes with 2GB RAM and 16GB of internal storage with memory expandable option up to 128GB via microSD. The phone comes with 5.45 inches full screen display with HD+ resolution and face recognition feature. Meizu C9 also has 13+8 megapixel dual cameras that supports ArcSoft feature. It is also powered by 3000mAh battery. If you are looking for Meizu C9 phone's more features, specifications, price, review, first impression, unboxing, comparison and hands-on etc. then you could find some of them above and the rest we would try to cover them, soon. Meizu 16th priced at 39,999. We will soon let you know Meizu 16TH phone's features, specifications, price and other detail. We would also cover the rest of the detail of these smartphones. You can buy these smartphones from Amazon India. Note: There will be some revised and updates over here. Tips: The reasonable to acquire them.